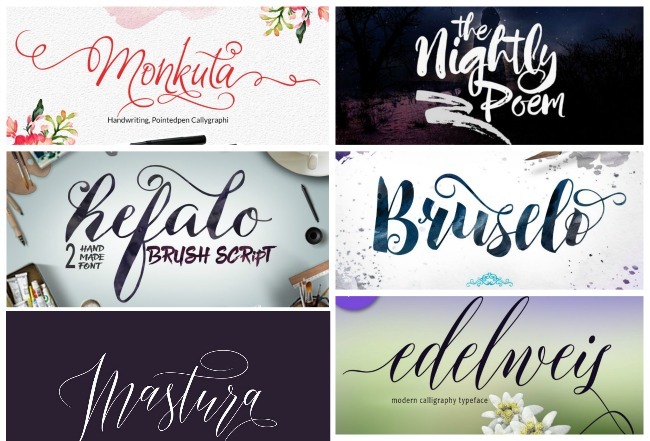 Silhouette crafters know it can be frustrating to buy a new commercial font only to realize later all the special characters are not accessible in Silhouette Studio - so today I'm sharing not one or two but EIGHT commercial fonts that you can fully open in Studio! Being able to open the glyphs and characters has to do with how the fonts are coded by the font designer. Unfortunately, there are only a handful of font designers who are fulling unicoding their OTF fonts which allows them to be opened in Studio without the need for any other type of software. The Hungry JPEG worked with one of those designers to put together a beautiful set of 8 commercial use fonts - all of them with special characters and glyphs - and all of them accessible in Silhouette Studio. 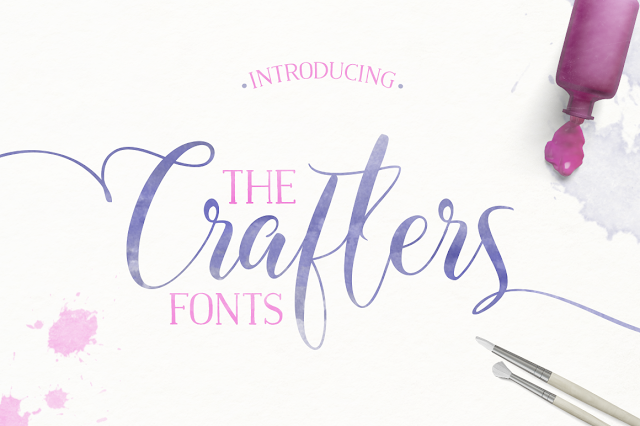 The best part is you get all of them in the Crafters Font Bundle with commercial license includes - for just $15! Here's a look at a few of the fonts, but remember, these are just 6 of the 8 fonts in their basic version. 1) Download and Install: For both MAC and PC users start by downloading and installing each font on your computer while Silhouette Studio is closed. 2) Opening Extra Fonts Characters: I have two tutorials on Silhouette School on how to access font glyphs and extras for MAC and PC users so I'm not going to bog down this post by repeating the steps....so refer to these tutorials if you're unsure how to gain access to the characters. Again, remember this only works with fonts that are specially coded like the 8 in The Hungry JPEG Crafters bundle. Alright now for a few practical uses...For my first design, I used the Amigirl font. I typed 'happy' and 'fall' in two separate text boxes. All the purple characters are special glyphs I replaced the original font with. After I replaced the characters, I welded to the two lines together. Finally I put my text design in a circle and subtracted all to create my circle design. I cut this one on etched vinyl and placed the decal on a glass candle jar that I emptied out and re-filled with mini pinecones and a tea light. The design process was much the same for this pillow cover that I updated by adding the word 'family' using the Monkuta font from the Crafters Bundle. The original f and y were replaced with fancy letters to add some flare. For this no sew pillow cover project, I actually cut the text design on painters drop cloth to adhere to the pillow! 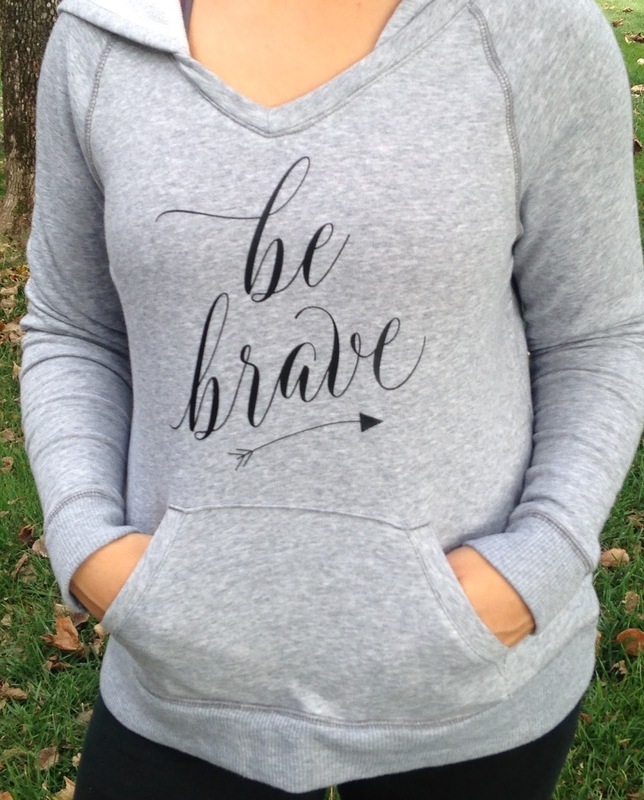 Using the beautiful - and perhaps my favorite of the set, Edelwies - I created this 'Stay Strong' design. You can see the two b's are different, as well as the e's - that's because, along with the v, they are all special characters. I used Mastura, from the bundle, for 'Broom' on this Halloween sign I created! As you can see the possibilities are pretty much endless and now that you are able to - and know how to - easily access the the special font characters designing text designs is a lot more exciting! Remember though, as with all deals from The Hungry JPEG the Crafters Font Bundle will only be around for a month...the 8 specially coded commercial fonts for $15 will be gone mid November! You can do it on Windows PC too - there's a tutorial linked above. Just bought this bundle! So looking forward to creating with it :) Thanks for this post! This is amazing that you wrote about this!! I just bought the Crafters bundle yesterday. I must say, although the fonts are gorgeous, I was disappointed as I was expecting all of the glyphs and swashes to go to Silhouette also. I will use the link above to see what I may be missing. I had bought Samantha a while back and find it very time-consuming to search through on the itty bitty character map, there must be an easier way? Maybe I'm not doing it right. I also noticed that you emphasized about downloading the TRUE font as opposed to the open. I have been doing that wrong also as I was under the assumption that open fonts could be manipulated and true fonts couldn't?? Please set me straight. Thank you for your posts! I look forward to them each day. .
Just bought the bundle - thanks to you guys!! This is so amazing and I'm just drooling over the designs. And I can't say 'thank you' enough for the amazing tutorial and help for using the glyphs in Silhouette!!! Now I'm going to have even more decisions to make!!! LOL! I am going to buy this bundle right now. It is amazing, and I cannot thank you enough for sharing this with us. You are so talented and help to make each of our projects so much more beautiful and exciting. Melissa, is this part of the "Beautiful Bundle" for October, or something entirely separate? It is a separate bundle. Hi, getting an error message when I click on the links to purchase. Please advise! will you be teaming up with them again to offer more font bundles?